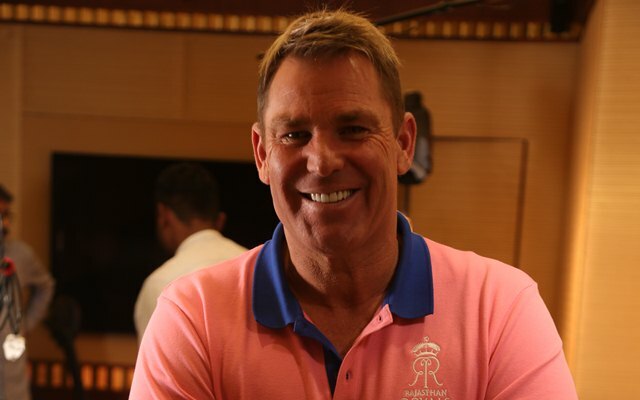 The First Royal - Shane Warne returns as the Royal Brand Ambassador. Today, after a decade of our presence in the world’s biggest Twenty-20 competition, the Indian Premier League, Rajasthan Royals is excited to announce an updated brand identity with a new colour and its Royal Brand Ambassador. Shane Warne has been very closely associated with the team since its inception and immortalised Rajasthan Royals after leading the team to a title win in the inaugural year in 2008. His captaincy, drive, and intensity with which he led a bunch of youngsters to dizzying heights of success is part of a cricketing folklore. He went on to captain the team for four seasons until 2011, after which he retired from all forms of cricket. The 11th edition of the IPL saw Warne returning to Rajasthan Royals as a mentor. Rajasthan Royals officially unveiled its new look on Star Sports this evening in an exclusive show-‘Halla Bol 2019’. The show was aired on Star Sports 1, Star Sports 1 HD, Star Sports 1 Hindi and Star Sports 1 HD Hindi at 4:30 pm.